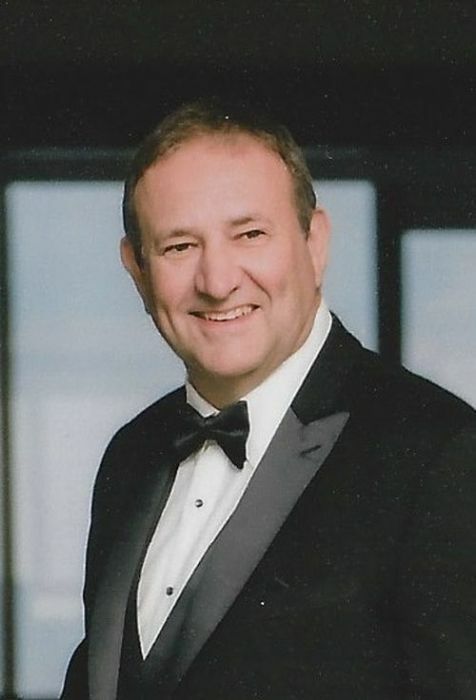 Obituary for Lloyd M. Krautkramer | Peterson Kraemer Funeral Homes & Crematory Inc.
Lloyd M. Krautkramer, 61, Marathon died Wednesday, January 23, 2019 at Aspirus Wausau Hospital. He was born October 5, 1957 in Wausau, son of the late Sylvester and Marian (Gau) Krautkramer. On July 30, 1983 he married Carrie Kostroski at St. Mary’s Catholic Church, Marathon. She survives. Early in his career, Lloyd drove school bus and worked at GNR Equipment in Marathon, then he worked for a number of years at Bombardier Inc. in Wausau. Most recently, Lloyd was a supervisor at Greenheck Fan Corporation in Schofield and raised ginseng with his brothers, Jerome and Paul. He also served as a Board of Education member for the Marathon School District, participated in the Town of Marathon Zoning Board, and served as a member of the Marathon Village Board. Survivors include his wife Carrie Krautkramer, Marathon, his children, Dr. Landon (Keith) Harrison, Fort Wayne; Raven Krautkramer, Chicago; and Larin Krautkramer, Marathon. His surviving siblings include Marjorie (Lyle) Pospyhalla, Stratford; Theresa (Lawrence) Berres, Marathon; Georgine (Thomas) Blume, Marathon; Janet (Wayne) Carroll, Luxemburg; Dennis, Madison; Jerome (Pauline), Marathon; Paul (Janice), Marathon; Marie (David) Burish, Wausau; Sylvester "Sly", Jr. (Nancy), Marathon; Michele (Rodney) Butalla, Marathon; Andrew (Anita), Marathon; Jacklyn (Rodney) Hamann, Wausau; and Mark (Barbara), Marathon. The Funeral Mass will be celebrated at 6:00 p.m. Sunday, January 27, 2019 at St. Mary Catholic Church, Marathon. The Reverend Monsignor Joseph Diermeier and Lloyd’s godson, the Reverend Jesse Burish, will preside. Friends may call on Saturday from 5:30 p.m. until 8:00 p.m. and again on Sunday from 5:00 p.m. until the time of services all at the church. There will be a parish rosary service at 8:00 p.m. Saturday evening at the church. In lieu of flowers a memorial fund is being established. Peterson/Kraemer Funeral Home, Marathon is in charge of arrangements. Online condolences may be expressed at www.petersonkraemer.com. The family would like to extend their gratitude to the Marathon area EMS, Edgar and Rib Mountain ambulance services, and Aprirus Wausau Hospital.